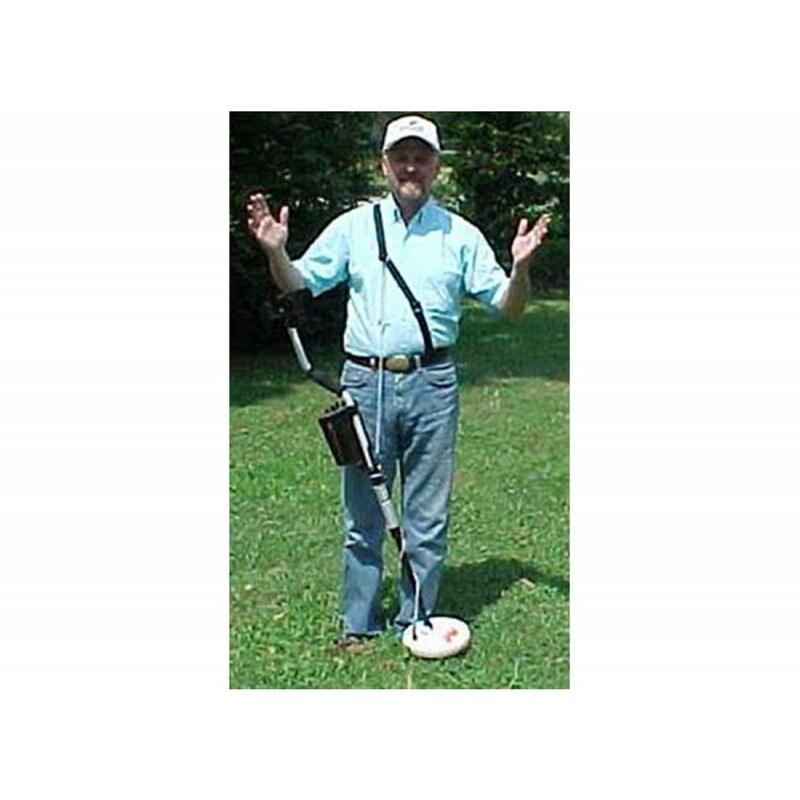 This is an over the shoulder belt mounted type (Model B); many treasure hunters that wear belts with shorts or pants prefer this style. 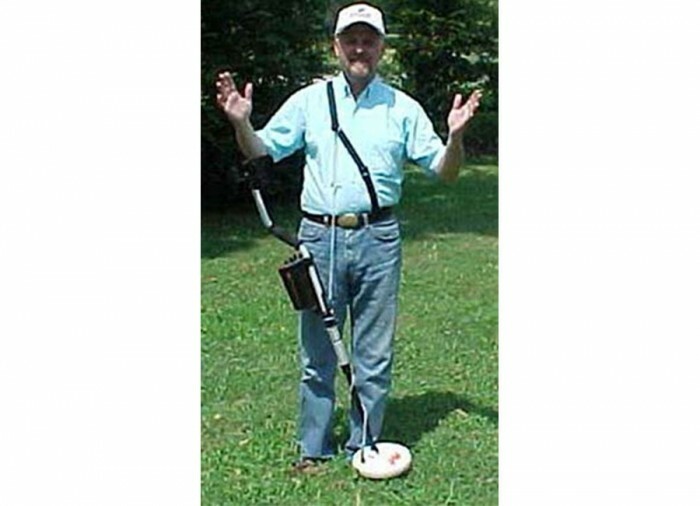 It will make your metal detector practically weightless and at the same time reduces arm and shoulder fatigue. There are two styles, both styles are fully adjustable and will accommodate most people including larger children. This belt mount harness is to be used for round shafts. Model B is an over the shoulder belt mounted type; many treasure hunters that wear belts with shorts or pants prefer this style. Model S is a wrap around chest harness type that does not require any belts normally used with pants or shorts. Model B and Model S are available two ways. You can order either one with the clamp for round shafts or a square shaft.